BARCELONA • Barcelona star Lionel Messi was showered with praise by both his coach Ernesto Valverde and losing manager Bruno Genesio, after a headline performance in his side's 5-1 second-leg win over Lyon to reach the Champions League quarter-finals. The forward opened the scoring at the Nou Camp on Wednesday with an audacious penalty and restored control in the tie after Lyon had pulled a goal back to make it 2-1, hitting a decisive third goal after a trademark dazzling run to shake off four defenders. The Argentinian, who at the start of the season promised to "do everything to bring that beautiful trophy back to the Nou Camp", tore through Lyon's backline twice more to tee up further goals for Gerard Pique and Ousmane Dembele. "We are all psyched up for the Champions League and so is Leo. He produced an outstanding performance tonight, he was incredible," Valverde told reporters. 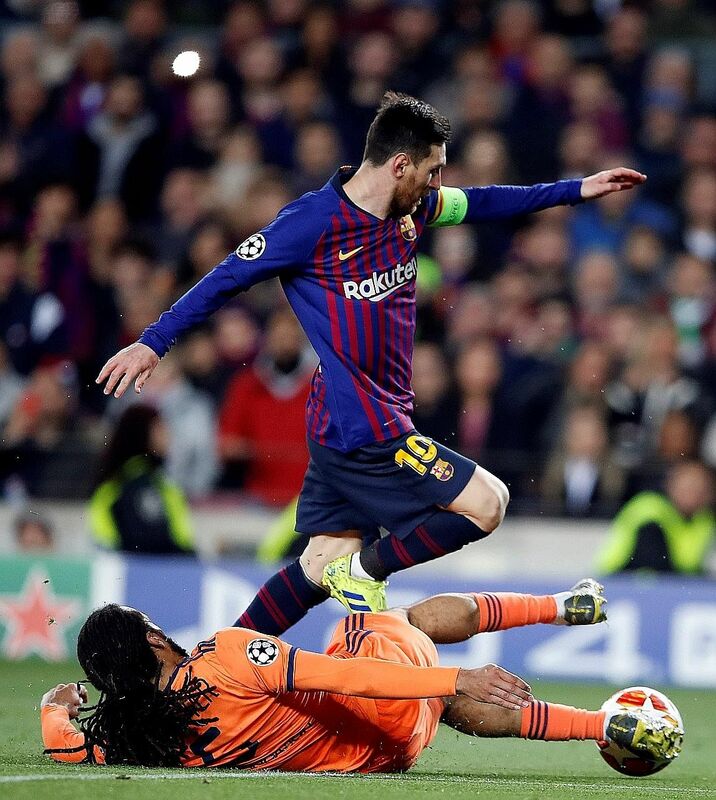 Lyon coach Genesio added: "Tonight Messi was in Champions League mode. He's a genius and can do things that nobody else can. Sometimes he is just unstoppable." A 0-0 draw in France in the first leg last month meant Lyon always had a chance to make Barca nervous, but Messi's sumptuously chipped penalty and a simple finish from Philippe Coutinho looked to have finished the visitors off before half-time. Yet Lucas Tousart's volley left Lyon one goal away from putting Barcelona out, only for Messi to take charge again with the third goal and his two assists. "We went out to take the game to them from the very start, we moved the ball quickly and we were at our very best," Messi said. He had seen his record of eight hat-tricks in the Champions League equalled by Cristiano Ronaldo a day earlier in Juventus' 3-0 win over Atletico Madrid. Consecutive years Barcelona have reached the quarter-finals of the Champions League, a record. Messi has not hoisted the Champions League trophy since 2015, while Ronaldo has won it four times in the last five seasons with Real and has staked his claim to win it again with Juventus. On the scoring charts, Messi now has 108 goals in Europe's elite club competition, behind Ronaldo's imperious 124. "What Cristiano Ronaldo and Juventus did was unbelievable. I thought Atletico would be stronger, but Juve walked all over them and Cristiano had a magical night," he added. "But every team left is difficult, so let's see who we get next."